Kurt Johnson wrote a piece a few days ago on the proper place of Scripture in the life of a believer. He reflects on the fact that we have elevated the Bible to a place that God really never intended. We are a people centered on a person, not a book. He hits the nail on the head in this article, and we hope you’ll take a few minutes and read the whole thing. 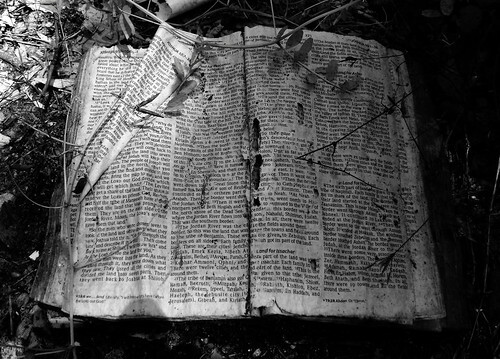 The Bible is not anything like a tidy “answer book”… But I’m afraid we have too many treating it as if it is, and going on about our lives forgetting God, living a rather community-less, tradition-less, Godless Christianity, in a relationship with a book, that supposedly has “all the right answers” to life’s complexities. Who needs God if we have all “the answers” in a book? Who needs a community? Who needs a tradition? Who needs Jesus? The Bible is important, yet it’s so insufficient.